Free pipetton font for any designer that is looking to display their design professionally. 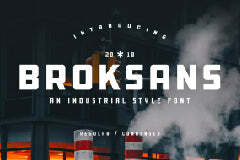 This is a downloadable typeface file brought to you by Letterhend Studio. Easily amaze your audience with this cool font and make your graphic designs pop up from the crowd.